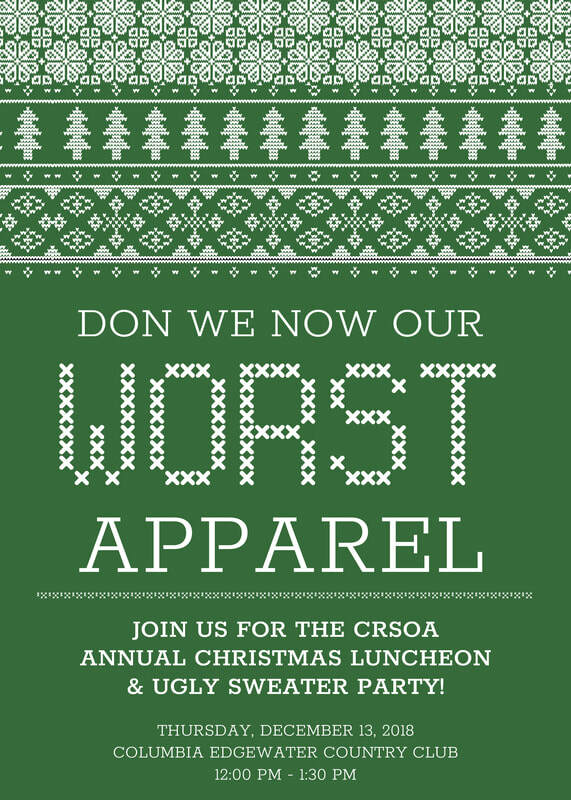 Thank you for registering for CRSOA's Christmas Luncheon & Ugly Sweater Party! Make sure to add the event to your calendar with the link below. Annual Christmas Luncheon & Ugly Sweater Party to end the year!